Early in your career, your idea of being a good communicator might have been making cogent arguments and clearly expressing yourself verbally and in writing. This would prove your capability. But those things, while very important, are not the keys to becoming really great at communication. With experience and more confidence in yourself, you gradually discover that communication is less about how you express yourself and more about how deeply you listen to others. Listening allows you to focus on what is important to others. In turn, you can then tailor your communication to them to find common ground or to respond appropriately. Listening requires that you move beyond merely hearing the words expressed by others. Instead it requires that you tune into communication aspects other than words. Like the insight tied to your “3rd Eye”, it’s as if your physical ears are tuned to the words used and your “3rd ear” is tuned to a deeper level. What is important to this person that they would put whatever it took into accomplishing, preserving, exemplifying, etc.? What’s their vantage point? Based on tone of voice, word choice, and facial expressions, what is the overriding feeling this person is experiencing and what does that tell you? What might they regret or want to avoid? For which principle(s) are they taking a stand? What’s important to them? Are they using similes, metaphors, or other comparisons? How can these analogies apply to the way forward? What is at the heart of their message that they might not have put into words? How did you or someone else impact them? Did it help or hinder them in their pursuit? Underneath it all, are they asking for or do they want/need something from you? Sometimes, others just need a witness as they wrestle with a conundrum or to clarify their own thinking. You don’t really need to DO anything. Your presence alone is enough. Next time, you’re listening to someone, practice zeroing in on one of these areas. What do you hear? How does it add to their words and your understanding? 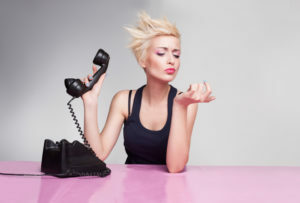 Do you feel misunderstood by your direct reports or colleagues? Do they think you’re an ogre when you’re really fun and fair? Or maybe they think you’re a pushover when you’re really purposeful and committed. There might be a disconnect between what you intend and how you’re coming across. Here are four ways avoid misunderstandings by closing any gap between your intentions and your actual impact on others.Get clear about what you want to happen. Conventional wisdom says that we are on auto-pilot about 95% of the time. Which means we are consciously thinking about or aware of what we are doing very little during the day. Get clear. Know what you want to accomplish before you go into a meeting, have a conversation with a co-worker, or work on a project. Ask yourself what you want to get out your time spent. State your intentions. Based on the outcome you want to create, state your intentions out loud, especially when interacting with others. 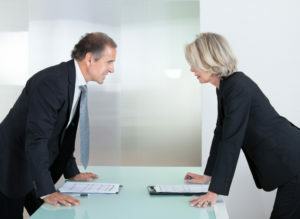 By doing so when going into a meeting or conversation, you are not leaving to chance how the other person will interpret what you say or do. Ask for the other person’s perspective first. As a leader, when you speak, your words carry weight, and that weight often shuts down others who are further down the food chain. 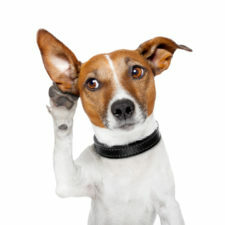 Additionally, listening first will give you a chance to tune in to the other’s perspective. Seek to reconcile different perspectives. With a clearly stated intention and after sharing perspectives, you will have a better understanding of how the different perspectives overlap or don’t. Revisit your intention again, and ask for how you can move forward by using what most important from each perspective. By consciously focusing on a clear intention and being open with your perspective, you can create conditions that allow others to “see” you for who you are. WANT TO USE THIS ARTICLE IN YOUR NEWSLETTER, BLOG OR WEBSITE? You can, as long as you include this information with it: Beth Strathman works with leaders to maximize the “people side” of business and evolve into the leader they are meant to become. Learn more at: firebrandconsultingllc.com. Intentions set the course for what you want. Your intentions seem obvious to you, but they aren’t necessarily obvious to everyone else. Without the benefit of knowing exactly what is in YOUR head, others interpret your messages based on what’s in THEIR heads. For example, from your perspective, if you’re hesitant to move forward on something, you might be concerned about identified risks. However, others might interpret your slow decision-making as a lack of know-how or of confidence or interest in moving forward with an initiative. 2) you haven’t communicated your decision and proposed action plan in a way that explicitly ties them to the company’s broader strategy. To clarify your intentions, create a clear line of connection between company vision, mission, values, and strategic priorities/goals by highlighting the decisions you made and actions taken. Communicate these connection to direct reports and others before you start moving your decisions forward. With clear intentions, your employees will follow your lead regarding where to put THEIR focus. Thus, you must limit distractions and model an ability to focus your attention on the things that will help your company stay the course. To determine your level of distraction versus focus, look at how much time and effort you give to people and tasks related to what you say are the company’s most important priorities. The 80/20 rule serves as a general guideline. That is, strive to spend approximately 20% of your weekly working time performing tasks that are appropriate to your role and that relate to your team or company’s important initiatives. Check yourself by looking back at how you’ve been using your time over the past couple of weeks. If you’ve been distracted from the company’s most important priorities, look at what’s getting in your way (e.g., allowing unnecessary interruptions, unclear work processes for direct reports that create dependency on you, failing to take time to analyze data or to plan next steps, etc.). With clear intentions and focused attention on important priorities, you’re ready to “walk the talk” and to take action, appropriate for your role, to move things forward. You could . . .
ensure direct reports develop new competencies that support the initiatives. The bottom line is to do the tasks and strengthen the relationships that will further the original intention of the strategic and tactical plans. It seems so simple to make sure your words and actions are reflecting company priorities. Yet, if you don’t consciously maintain that aligned focus each day, you can easily become reactive and find yourself distracted by events that aren’t worth your time and attention. 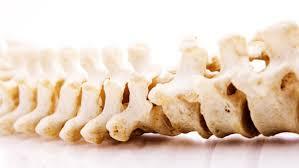 In the end, you will see how powerful it is to align the leadership “vertebrae” of intention, attention, and action. WANT TO USE THIS ARTICLE IN YOUR NEWSLETTER, BLOG OR WEBSITE? You can, as long as you include this information with it: Beth Strathman works with corporate leaders to increase employee engagement and retention by aligning strategy and tactics during rapid growth and change. Learn more about her company Firebrand Consulting LLC at: firebrandconsultingllc.com. 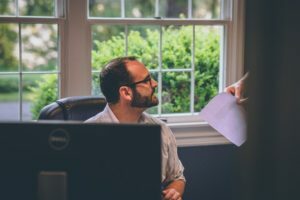 Communicating effectively is probably the most common area where most leaders need to grow. In fact, a 2016 Harris poll found that 69% of managers surveyed said that they’re often uncomfortable communicating with employees. I wager that discomfort comes from not knowing how to connect with the other person in a way that both of you will leave the conversation on the same page and feeling respected and heard. First, however, you must become aware that you’re not taking responsibility in your interactions with others. One simple (but not easy) technique to take responsibility and thereby improve your communication with others comes from the teachings of Dr. Marshall B. Rosenberg on Non-Violent Communication (NVC). Dr. Rosenberg’s teachings are based on consciously taking responsibility for yourself during any conversation. When you do this, you tune into your own observations, negative emotions, and underlying unmet needs that are shaping negative reactions you may have in a given situation. You can then make a request of the other person that will allow you to meet those needs. You will create connection and understanding by discerning and meeting your own needs and the needs of others. 1. If I don’t get what I want from an interaction, I give up and blame the other person for not understanding. 2. If business results are poor, I look at what other’s did or failed to do to cause them. 3. Under pressure, I get reactive and express my first impulse or feeling regardless of how it will impact others. 4. When in a conflict with another, I don’t give in and wait for them to apologize first. 5. Even if others admit mistakes, I often hold a grudge and have a hard time working effectively with them in the future. If even one of the above statements describes you, consider taking a hard look at your responsibility in that instance. Leadership requires you to look at yourself first and to shoulder the responsibility for everything that happens on your watch. Learning more effective communication techniques, like those taught in NVC, can help you do just that. WANT TO USE THIS ARTICLE IN YOUR NEWSLETTER, BLOG OR WEBSITE? You can, as long as you include this information with it: Beth Strathman works with business leaders who want to increase productivity and retention by shifting their focus from daily tactical work to the strategic work required to move their companies forward. Learn more about her company Firebrand Consulting LLC at: firebrandconsultingllc.com. Julie Warr has a passion for compassion. Inspired after her attendance at the 2015 Parliament of Religions, followed by a serendipitous suggestion from her coach, Julie explored the teachings of Dr. Marshall B. Rosenberg, the founder of the Center for Non-Violent Communication. For Julie, “the heavens opened, angels sang, and my mind lit up”. She knew she had found what she was meant to do. Although she still works full-time in the financial services industry, Julie continues to pursue what she considers her life’s work. She is in the process of forming a non-profit organization, with the intention of bringing NVC to Salt Lake City. Julie and I met at her office recently to talk about NVC and how it can be used in the workplace to create more satisfying, productive, and peaceful interactions. You can find out more about Julie’s endeavor,The Compassion Connection, on Facebook and Instagram. You can contact her at juliewarr.nvc@gmail.com. I had the pleasure of interviewing communications coach Beth Noymer Levine. She graciously allowed me to share the following blog post, excerpted in part from her book, Jock Talk: 5 Communication Principles for Leaders as Exemplified by Legends of the Sports World, www.jocktalkbook.com. More often than not, what makes people freeze before a big presentation is the nagging question, “Am I even doing this right?” and its companion, the fear of embarrassment. I’m always taken aback when smart, successful, otherwise confident people reveal that they’re afraid to make a fool of themselves. I would never have guessed in most cases. Trust me when I say that no one is “a natural” at speaking and presenting; even the best of the best think about it, worry, and work at it. Regardless of your style or your comfort level with public speaking, it’s wise to consider some core guiding principles for yourself as a speaker. Below are five foolproof principles of being an effective speaker or presenter that will give you the confidence to know you’re “doing it right,” and will leave your audience quite impressed. That you care about and respect them. That you’re real and therefore credible and trustworthy. Preparedness speaks for itself as well. The unprepared speaker is the one who is most likely to be long-winded, not to mention unfocused. While the mere thought of preparation might bring feelings of dread, the feeling of approaching the front of the room ill-prepared is far worse – and it shows. Success is in the eye of the beholder – your audience. Show care and respect, be real, and your audience is much more likely to listen, like you, and be impressed. This post was inspired by my interview with Beth Noymer Levine – Communications Coach at SmartMouth Communications. SmartMouth Founder and Principal Beth Noymer Levine is a Communications Coach who is emerging as one of the country’s leading voices on how to prepare and deliver speeches and presentations that actually work for both the audience and the speaker. We laugh at passive aggressive behavior on sitcoms, tune in for more on reality TV, and read the snarkiness on social media. Nonetheless, it’s no laughing matter in the workplace. Passive aggressive behavior includes actions, inactions, and comments intended to do harm but is indirect. People who exhibit passive aggressive behaviors also tend to feel helpless or powerless in their lives, and use their passive aggressiveness as a way to cope. Examples include: forgetting to do things, not following through, spreading rumors, giving the silent treatment, making sarcastic comments intended to send a message, and complaining about others to everyone but the person himself. In short, passive aggressiveness boils down to presenting yourself one way and behaving another to intentionally “stick it” to someone else. On an individual level, passive aggressiveness increases uncertainty, leads to poor self-esteem and poor working relationships, and consequently, leads to lower trust, increased stress, and lower productivity. On a companywide basis, it can slow down decision-making and the execution of important initiatives. Expect and model forthright communication. To avoid allowing passive aggressive behavior in your company, make sure you are a role model of healthy, respectful disagreement with curiosity about other perspectives. 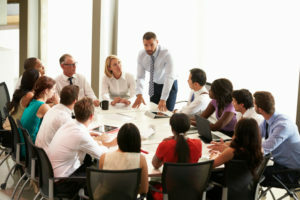 You can do this in a public way in your meetings by setting ground rules and behavioral norms about having full discussions in meetings where everyone is expected to contribute and acknowledging the sensitivity or contention of some issues as well as the importance of discussing those issues openly. Highlight minority or dissenting perspectives and opinions. Intentionally, ask those who hold an unpopular perspective to talk about their assumptions underlying their viewpoint and about the implications that will follow if their solution is or isn’t followed. By doing this, it makes it easier to craft a final decision that might accommodate differing perspectives. You can also troubleshoot the decision the group finally makes but anticipating what might go wrong. This allows those who see the weaknesses of the decision to be able to contribute. When passive aggressive body language, humor, gossip, or complaints about others come to your attention, you must acknowledge the behavior and dig a little deeper to find out what’s behind the behavior. Voicing concern that the person is choosing an indirect way of bringing up the issue is a place to start. Then, ask questions about why they chose an indirect way of settling the issue versus addressing the issue head on. You can then guide them to use more appropriate ways of interacting with others to get what they ultimately want. 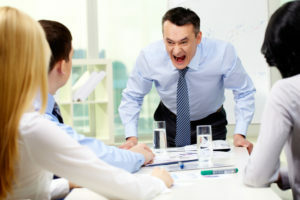 Passive aggressive behavior is probably more common than appropriately assertive behavior and can be one of the most destructive elements to a healthy company culture. This is certainly one time when being “nice” won’t work out for your company in the long run.